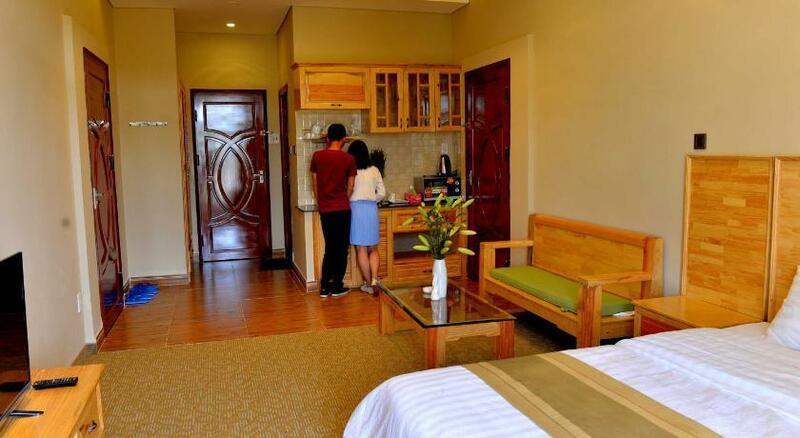 Featuring free WiFi and a sun terrace, Rio Cafe and Hotel offers accommodation in Da Lat. A flat-screen TV with cable channels and DVD player, as well as a CD player are featured. Some units include a seating area to relax in after a busy day. Enjoy a cup of tea from your terrace or balcony. Each room includes a private bathroom equipped with a bath or shower. For your comfort, you will find slippers and a hairdryer. Lam Vien Square is 1.5 km from Rio Cafe and Hotel, while Xuan Huong Lake is 1.7 km from the property. The nearest airport is Lien Khuong Airport, 21 km from the property.